Kevin Callan, who was on episode three of The Paul Kirtley Podcast way back when, who many know as “The Happy Camper,” is the author of multiple guidebooks to paddling in Canada, particularly Ontario. He’s the author of 15 books, including camping and outdoor cookery books. He’s a regular on CBC Radio as well as Canadian television. Kevin is also a familiar presenter at all of the large outdoor shows and canoe gatherings in Canada and many of them in the Northern United States as well. He’s a very well-known North American canoeing and outdoor figure. When he suggested he might like to come over to Scotland to do a trip, Ray Goodwin and I were excited to do this with him. Kevin, Ray and I had been talking about doing a trip for at least three years. Kevin travelled to the UK for the Welsh Canoe Symposium three years ago. Kevin was invited to speak and present again at the 2016 symposium, held in late October. While he was over this side of the pond, we collectively decided it would be a great time for us to do the Scottish trip. The Spey was at the top of the list, for several reasons. If you follow Kevin’s YouTube channel already, you’ll know he enjoys a wee dram of whisky, particularly when he does his “Whiskey Fireside Chats”. So paddling down the River Spey seemed like an absolutely natural choice: it’s a great River to paddle, it’s beautiful scenery, and it’s surrounded by distilleries, so we thought we would hatch a plan. Justine Curgenven, who was on podcast episode 5 with me, talking about her trip paddling the Aleutian Islands with Sarah Outen, was also very keen to join us on the trip. 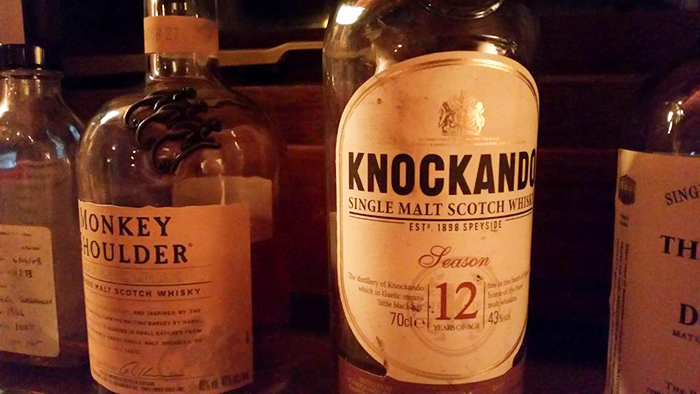 Some of the Speyside whiskies being sampled during this podcast… Photo courtesy of Ray Goodwin. 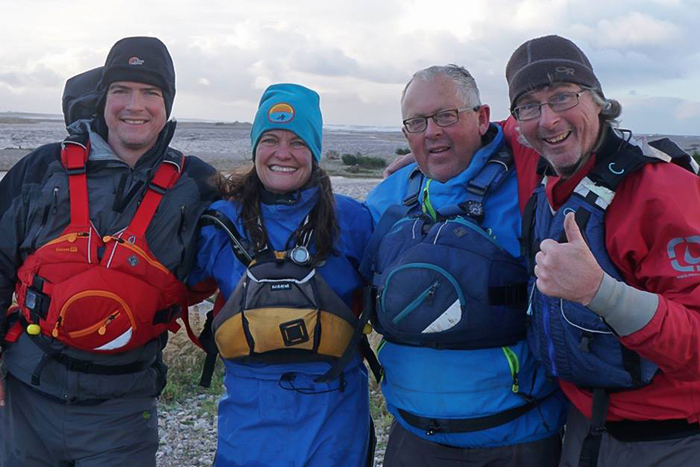 A strong headwind characterised our last day (5th November) on the Spey. Coming pretty much out of the north, we were most exposed to the wind in the section between Fochabers and Spey Bay, where it was a solid force 6, gusting force 7. Please leave an honest review & rating on iTunes or on Stitcher. Your ratings and reviews are extremely helpful and greatly appreciated! They do matter in the rankings of this podcast and I read each and every one of them. It was from 1970 so that makes it 46 now. The whisky was 44 yrs old. Glenglassaugh 44 year old and a wee dram at that! 44 year old whisky, sounds class. Thanks for all the fantastic content, keep up the great work. A very enjoyable, fun and informative Podcast Paul, just as one might expect from such a team! Fantastic to hear more about each of you and to hear about the journey itself on the wonderful River Spey, it was also an absolute pleasure to meet you all and play a very small part in the surprise elements of your trip..
1964- so depending which month, that’s about 52 years old. Thanks Paul for example very entertaining hour and a half, I will still be laughing tomorrow. What a week you must have had, canoeing, good company, good whiskey and corned beef hash, can’t beat it. Your whiskey was 44 years old. By my calculations the oldest is 52 years old. Put in the cask at some point in 1964, taken out in 2008!! must have been a ‘wet’ tour, nice.. Oldest whiskey was 44 years. Thank you for putting so much good information out in so many ways! I really do appreciate it and I am impressed how you find the time. I have seen your videos on river spey and canada to and would love to start canoeing. Your courses on canoeing and decending the river Spey is defenitely on my wishlist (along with canada and sweden of course). So my answer is 64 years old. The oldest Whiskey you tasted on the trip was 44 years old. Nice! 44 years old is my answer. A good listen, a great trip with great people. Oldest whisky was casked in 1964, making it 52. Whiskey was 44 year old. Really enjoyed this podcast, had a lot of smiles. The oldest whisky was 44 years old: Glenglassaugh, put in the barrel in 1964 and it came out in 2008. A massive thanks, not just for this podcast but for all of them and your blogs too… I have just finished all of them and learnt a lot; looking forward to more. I especially enjoyed this podcast and Kevin’s hilarious videos brought it all to life. Fun was had by all that’s for sure! Thank you Paul, for very well done videos, I sent your videos also to my Grandaughter, she loves exploring and preparing to stay outdoors. The River Spey looks like a wonderful place to navigate. Fishing must be great too! Ancient European Whiskey too! Your cinematography is to be respected, sir.